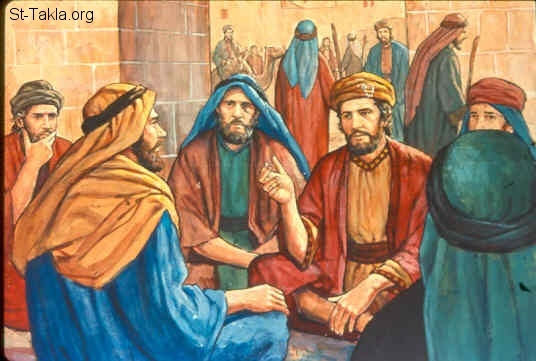 In the morning, after Ruth had departed for home, Boaz went and sat at the city gate. In those days, that is where business was transacted and judgments took place. See? You and I were, in effect, married to Mr. Law before we came to Christ. How does one legally become unmarried to another? By dying. Our wedding vows say, “Till death do us part.” The problem is, that if we die, how can we be married to anyone? We can’t. But Jesus, by dying at the cross, died our death for us. His death is credited to us which effectively breaks the bonds that bound us to our former husband, “Mr. Law.” Now he no longer has any claims on us and can make no demands because we no longer belong to him: WE BELONG TO JESUS. HALLELUJAH!!! Exchange At The City Gates. Boaz spoke to this this nearer relative and offered him the opportunity to buy the property that had belonged to Elimelek. At first the man said, “Yes,” he would redeem the land. Then, he found out that he would have to marry the Moabitess, Ruth, and produce and heir for her dead husband. I can just picture the color draining out of his face. Marry a foreigner from Moab and ruin his inheritance? Not a chance! Well, in light of this startling new information, he relinquished his claim, giving Boaz permission to redeem it for himself and obtain Ruth as his wife. Though he may have appeared cool on the outside, no doubt his heart was leaping for joy! You see, he had fallen head over heels in love with Ruth and was thrilled he would now be able to have her for his wife. How like Jesus who loved us long before we knew Him, while we were still dead in our trespasses and sins. Even though we were far from Him, He went to the cross for us. God SO LOVED the world! You know, it would be enough if it said that God loved the world, meaning those outside of Christ. But it’s that little word, “SO,” that reveals an intensity that we may never fully come to understand, even in eternity. The two men legally sealed the deal by doing something that might seem very strange. “Mr. 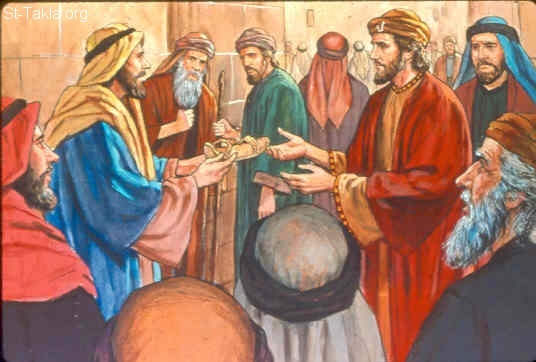 Law” took off his sandal and handed it over to Boaz. A man’s sandal in those days was a sign of ownership. It indicated that he had the right to “Walk” on any property he owned. This act accorded Boaz full and rightful claim to all the property that had formerly belonged to Elimelek and marry Ruth. In the same way, Jesus redeemed us from certain death and we became His bride! Now, as in the story of the Prodigal son where the unnamed servant was instructed to put shoes on his feet, He puts shoes on our feet, a sign that we are sons/daughters, heirs to all the property belonging to our Father. Because we are made holy by Jesus, we have the right to walk on holy ground WITH OUR SHOES ON! The City Gate is a picture of what happened at the cross. Jesus went to that place of judgment. And because He is now in possession of the “Shoe,” the devil can no longer walk all over us! We belong to Him now. We have been rescued from the camp of the devil into the camp of our Lord and Savior, Jesus! Please follow the link below to Part 10. We’ll see that Boaz at last gets Ruth as his wife!